Manor Park is generally identified by its historical boundaries: Whittier Street on the north, North Capitol Street on the east, Concord Avenue (Missouri Avenue) on the south and Georgia Avenue on the west. 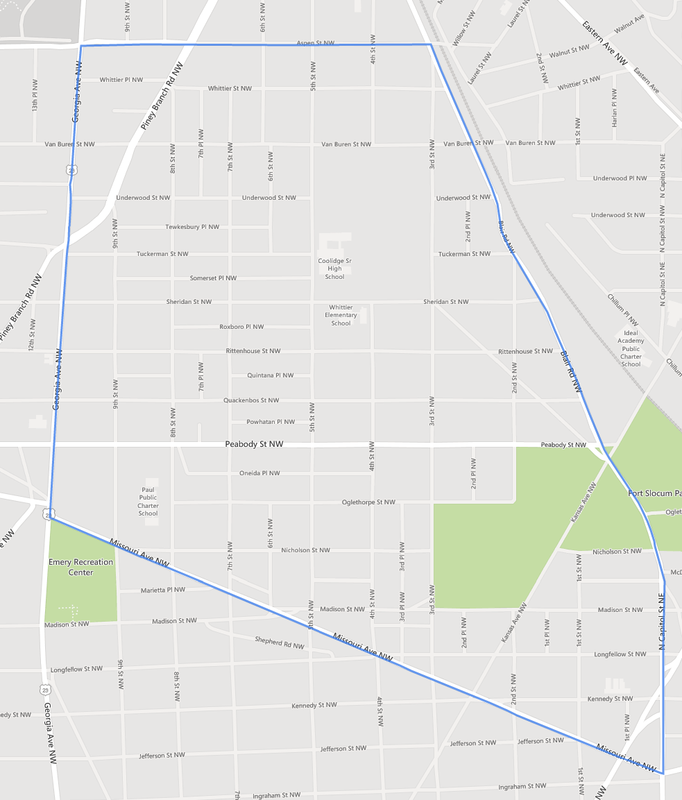 Historically, these boundaries overlaid the boundaries of three other organizations, Brightwood, Chillum and Takoma. The MPCA Boundaries are: Aspen Street on the north, North Capitol /Blair on the east, Missouri Avenue on the south, and Georgia Avenue on the west.